Chapter 05- Queen Nazmah - "Chapter 5 Page 13"
King Atherr: You know.. It is said you descended from the first Immortals to settle on these lands. 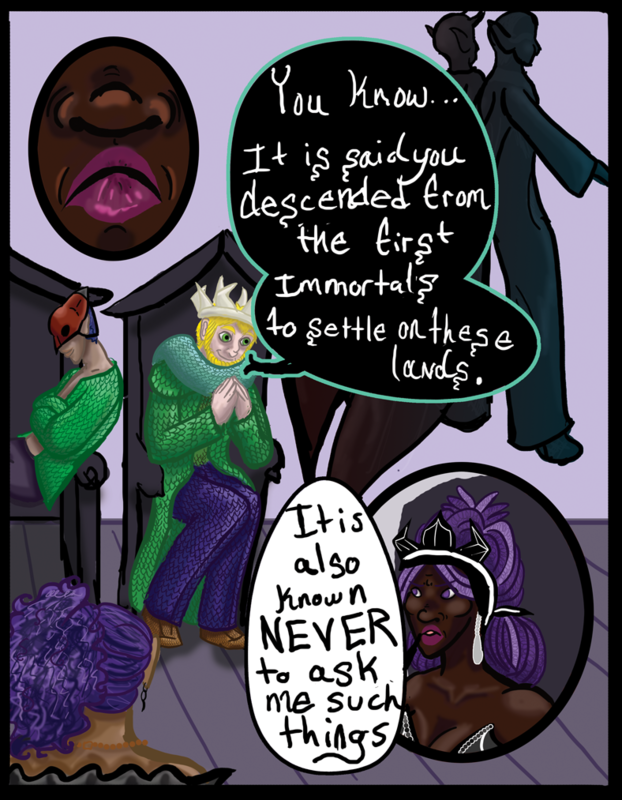 Queen Nazmah: It is also known NEVER to ask me such things.